The Bérets Foulard Cote – Nouveau are the result of a meeting with Monsieur Guédon, the man behind Boneteria Auloronesa, and South Pacific Berets; the aim to produce a unique, limited edition beret in a very small number, which is completely different from any beret known and that shows perfect craftsmanship and offers the best possible comfort. After an initial batch of 20 bérets cote with ribs running outwards from the centre of the beret, late 2015, a new model has been made with ribs placed on the outer circumference of the beret. It is a complete novelty and the result of endless (and very time consuming) experimentation during the felting process. 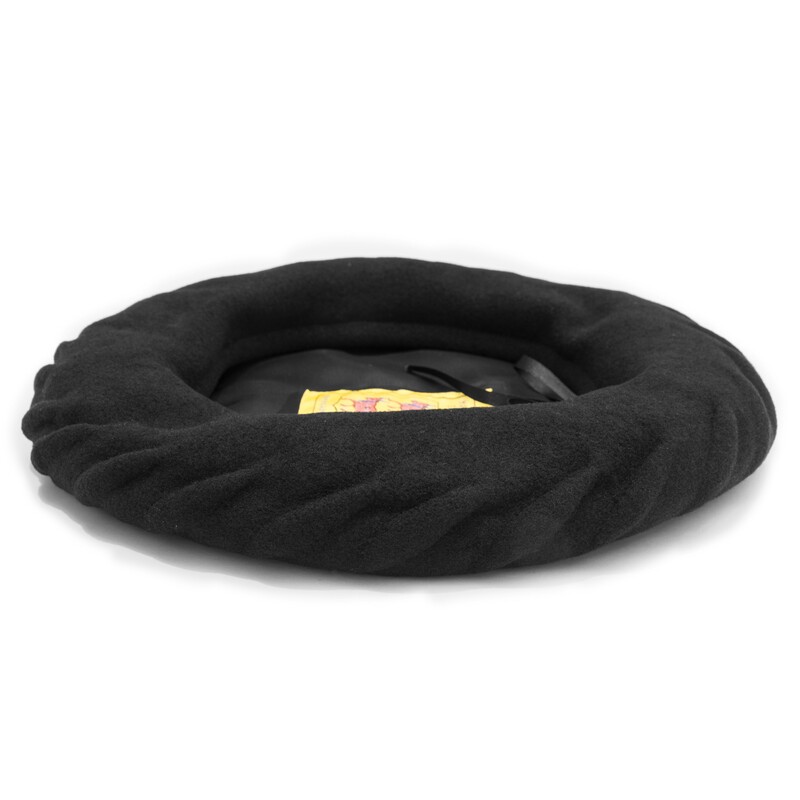 Although the differences may seem insignificant to the untrained eye, the process of making these berets is not simple at all. The "cotes" are made without any additional thread and are absolutely permanent. The manual manufacturing process is long and intense (only some 50% come out meeting the manufacturer’s stringent criteria) and the final shaving takes at least 30 minutes per beret. 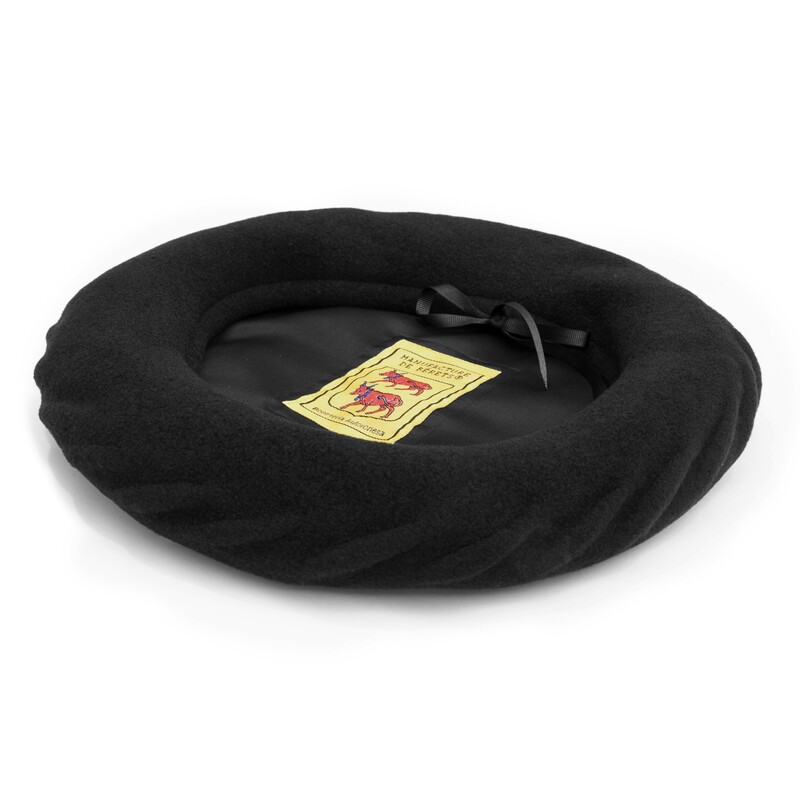 The Berets Cote are fitted with a black satin lining, with the "Manufacture de bérets - Boneteria Auloronesa" label, picturing the red cows of Béarn. 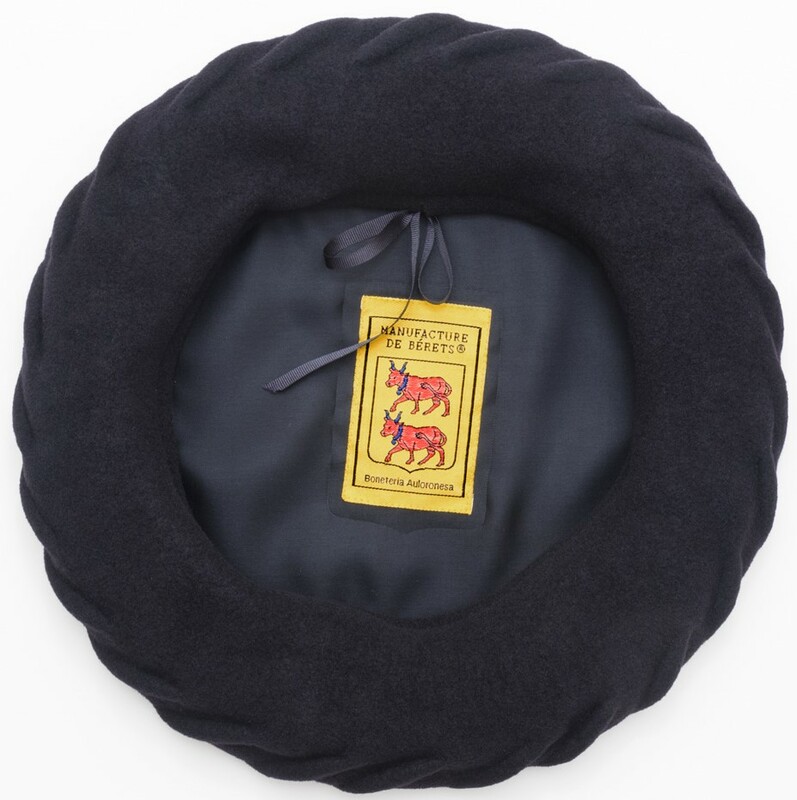 This is one beautiful beret!